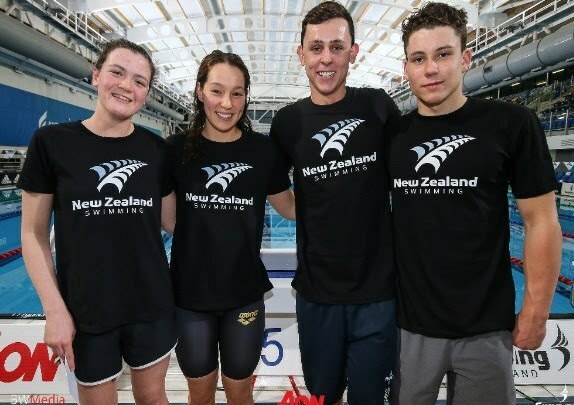 Swimming New Zealand has announced a roster of 4 swimmers, 2 male and 2 female, for the 2018 Youth Olympic Games that begin on October 6th in Buenos Aires, Argentina. That’s half of the allotted 4 male and 4 female swimmers, but enough to race in the mixed 400 medley and 400 free relays. The roster includes Gina Galloway, who is the granddaughter of 92-year old Ngaire Galloway, who is New Zealand’s oldest living Olympian. In 1948, she was the only woman on the New Zealand Olympic Team, where she finished 11th in the 100 back in 1:19.0. Gina Galloway took bronze at the 2017 Youth Commonwealth Games in the 100 back, where she clocked a 1:02.68, and will swim 4 races at the meet. Erika Fairweather is the holder of 12 National Age Group Records, including the 200 and 400 free records in short course meters at the Otago Winter Championships last week. Born on December 31st, 2003, the exact earliest day one could have been born and eligible for this event, she will be one of the youngest competitors in Buenos Aires, if not the youngest. At the other end of the spectrum is the 18-year old Zac Reid, who won the 1500 free (15:40.11) at last year’s Youth Commonwealth Games. 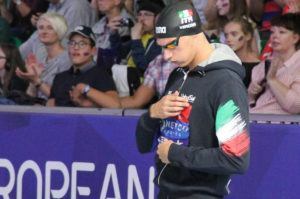 With the 800 free being the longest event on offer at the Youth Olympics, he’ll race the 200, 400, and 800 freestyles – all event titles that he won at the New Zealand Open Championships in July. That includes, in the 400, beating Commonwealth Games bronze medalist Lewis Clareburt. And finally, New Zealand’s top junior sprinter Michael Pickett, now training in Australia at St. Peter’s Western under New Zealand coach Jon Gatfield. He finished 2nd in both the 50 and 100 freestyles at the New Zealand Championships. Pickett swam 23.13 in the 50 free and 50.61 in the 100 free at the New Zealand Open Championships. All 4 were also chosen for the Junior Pan Pacs, which will be held from August 23rd-26th in Suva, Fiji. This Youth Olympic roster was previously announced, but was awaiting confirmation from the New Zealand Olympic Committee. Athletes at the 2018 Youth Olympics must be born in the years 2000, 2001, 2002, or 2003. This ensures that each athlete is eligible for only one quadrennial cycle of the Youth Olympics (winter + summer). New Zealand swimmers won 2 medals, both bronze, at the 2014 Youth Olympic Games, after going medal-less in the first edition in 2010. The New Zealand Olympic Committee has named Gina Galloway, Erika Fairweather, Zac Reid and Michael Pickett to represent New Zealand at the Buenos Aires 2018 Youth Olympic Games. Galloway (17 years, Diocesan School for Girls, Auckland) is the granddaughter of Ngaire Galloway, who at 93 years old, is New Zealand’s oldest living Olympian. 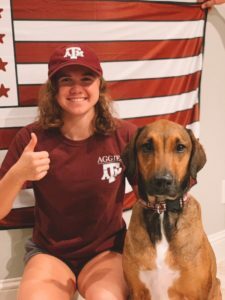 “Growing up listening to her stories from her experiences and trips in swimming and the friends she’s made through the sport all over the world has been really inspiring for me,” said Gina Galloway. 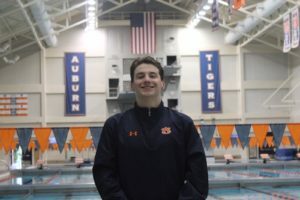 It is no coincidence that Galloway is a backstroke specialist, with Galloway senior competing in the women’s 100m backstroke at the 1948 London Olympic Games. She finished 11th overall and was the only woman in the New Zealand team. Galloway won a bronze medal at the 2017 Youth Commonwealth Games and will compete in the women’s 50m, 100m, 200m backstroke and 100m butterfly events. Otago’s Erika Fairweather (14 years, Kavanagh College) will likely be one of the youngest athletes, if not the youngest athlete, competing at the Buenos Aires 2018 Youth Olympic Games as her birthday (31/12/2003) is the cut off date for eligible athletes. The last twelve months has been a breakout year for Fairweather who now holds 12 national age-group records, including the girls 14 years 200m and 400m freestyle short course records set last weekend at the Otago Winter Championships. “It feels pretty unreal and I am very honored that I get this opportunity to represent my country at this level,” Fairweather said. 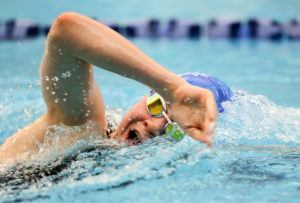 Fairweather will compete in the women’s 100m, 200m, 400m and 800m freestyle events. Zac Reid (18 years, Massey University) who was a double gold medalist from the 2017 Youth Commonwealth Games will compete in the men’s 200m, 400m and 800m freestyle events. The Taranaki swimmer won his first New Zealand Open Championship last month by beating Gold Coast Commonwealth Games bronze medalist Lewis Clareburt in the men’s 400m freestyle final. Reid went on to also win the 200m, 800m and 1500m New Zealand titles. “I made this a goal a year ago and now being selected is an amazing feeling as I have put a lot of work and dedication in trying to gain selection,” says Reid. The fastest 15-year-old freestyle sprinter in Australasia rounds out the New Zealand swimming team with Michael Pickett (15 years, St Peters Lutheran College) lining up in the men’s 50m and 100m freestyle events. Earlier this year Pickett relocated to Brisbane to train at one of Australia’s most prestigious clubs, St Peter’s Western. Under the guidance of Kiwi coach John Gatfield, Pickett has improved steadily. In April, Pickett blitzed the field to win the boys’ 15 years 50m freestyle at the Australian age-group championships. 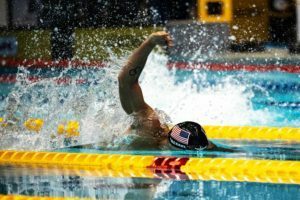 Just last month Pickett finished second at the New Zealand Opens Championships in the men’s 50m and 100m freestyle to book his ticket to Buenos Aires. “This selection is awesome news and gives me real confidence for my future. The competition’s going to be a great stepping stone for the end goal of competing at an Olympic Games,” said Pickett. The 15-year-old also highlighted his specific targets for the Youth Olympic Games. New Zealand Olympic Committee CEO Kereyn Smith passed on her congratulations to the athletes. Swimming New Zealand Targeted Athlete and Coach Manager Gary Francis is excited for the athletes who have gained selection. “Congratulations to Gina, Erika, Zac and Michael. The Youth Olympic Games is a unique experience and this is an excellent opportunity for the athletes to see and feel what a games environment really is combined with the pressures of performing against the highest level of junior competition,” said Francis. New Zealand qualified two female and two male athlete places for the Youth Olympic Games and the selected athletes were chosen from a total of seventeen athletes who achieved the minimum qualification standard for the games. New Zealand won two bronze medals in swimming at the 2014 Nanjing Youth Olympic Games to Gabrielle Fa’amausili (50m backstroke) and Bobbi Gichard (100m backstroke). The Youth Olympic Games will run from October 6-18th in Buenos Aires, Argentina. Chelsey Edwards (women’s 50m, 100m, 200m freestyle) and Quinton Hurley (men’s 200m, 400m, 800m freestyle) have been conditionally selected as non-travelling reserves. Am I correct the recalling that, although the USA does complete in many sports @ the upcoming 2018 Youth Olympics, there will NOT be a swimming team. If that is so, why not? Hungarian Team: Milák Kristóf, Kalmár Ákos, Zombori Gábor, Böhm Sebestyén, Késely Ajna, Berecz Blanka, Ilyés Laura Vanda, Barócsai Petra.